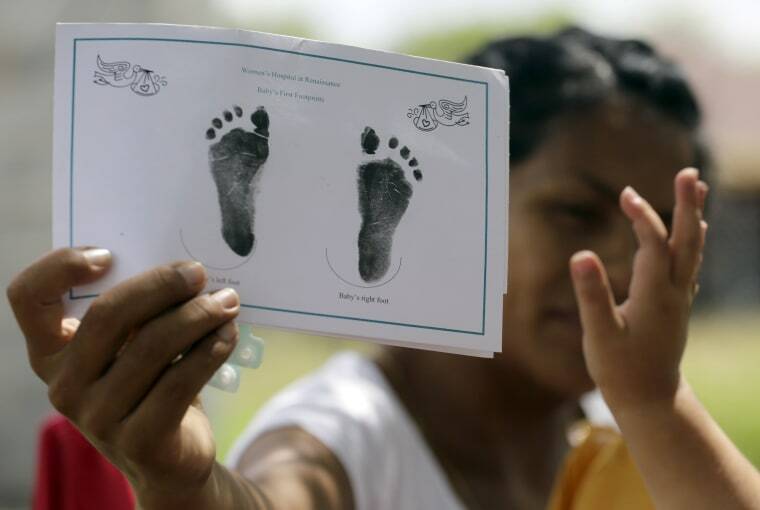 Texas has for seven years said it won't accept Mexican identification cards when issuing birth certificates for children of people in the United States illegally. But it doesn't appear to have stepped up enforcement until recently, amid mounting political pressure to get tougher on immigration, records obtained by The Associated Press show. That could validate complaints from immigrant parents suing in federal court, claiming the state is denying "birthright" U.S. citizenship for their Texas-born children guaranteed under the 14th Amendment to the U.S. Constitution. The AP used open records requests to get annual "self-assessment" surveys completed by local registrars. They show that officials in at least five cities and counties along the U.S.-Mexico border told the Texas Department of State Health Services during the past three years that they were allowing parents to get copies of birth certificates using a Mexican identification known as the matricula consular. "Most of applicants are here illegally as they claim, and are therefore unable to obtain a valid form of identification from the United States," Janie Madero, then-registrar in McAllen, wrote in a 2013 survey response. "Therefore our office accepts the matricula consular so they can obtain the birth certificate for their children who were born here." Elsewhere along the border, Arizona generally doesn't accept the matricula consular while New Mexico does. California lets notaries decide whether the Mexican ID is acceptable. Texas says it doesn't trust the matricula consular because of forgery fears, not politics. Hospitals provide documentation of births in Texas, but parents have to obtain birth certificates from registrars or other officials. In June 2008, the health department wrote to the Mexican consulate in Austin saying federal authorities had determined the matricula consular wasn't a "secure" form of identification and that it therefore wouldn't be accepted for people obtaining birth certificates for their newborns. The Department of State Health Services oversees Texas' Vital Statistics Unit. It reports issuing just one cease and desist letter to a county registrar in Brownsville who was accepting the matricula consular, and that didn't come until this July. Those three letters were all the state provided when asked for correspondence related to the matricula consular since 2008. Health services spokesman Chris Van Deusen subsequently said his department had "identified some additional communications with local registrars about the matricula" but that the lawsuit made those confidential. Immigration attorneys suggest that the state only got serious about enforcement after women and children from Central America began pouring over Texas' southern border last summer. Further raising the political stakes was President Barack Obama's announced executive actions on immigration in November 2014, which sought to temporarily shield from deportation up to 4 million people in the U.S. illegally. Efren Olivares, one of the lawyers representing immigrant parents suing, said there was a "tightening of the screws" amid Obama's announcements and Central Americans crossing into Texas at record rates. "We believe there is an intent behind this," Olivares said. Jennifer Harbury with Texas RioGrande Legal Aid said the state "knew from the self-assessment forms that it was being accepted statewide" but didn't begin objecting until recently. "It certainly doesn't look like it could have possibly been a coincidence," Harbury said. Van Deusen said the three letters don't reflect other efforts to enforce the matricula consular rule, such as when the state calls registrars, or sees them personally during about 50 visits conducted annually to registrars' offices. Van Deusen declined to comment on accusations that the policy change was political, saying the state will "respond in court as the suit progresses." "Our policy (is) to address any inconsistencies with how local registrars handle vital records at the time we learn of them," he added. "Those policies and their application are not related to immigration." "It's our prerogative that we take it," Gutierrez said.